Have a traveler you’re trying to find the perfect gift for? When it comes to buying gifts for travelers it can be tricky. You need to make sure you buy something they can actually get alot of use out of without taking up too much space in their bag or luggage. 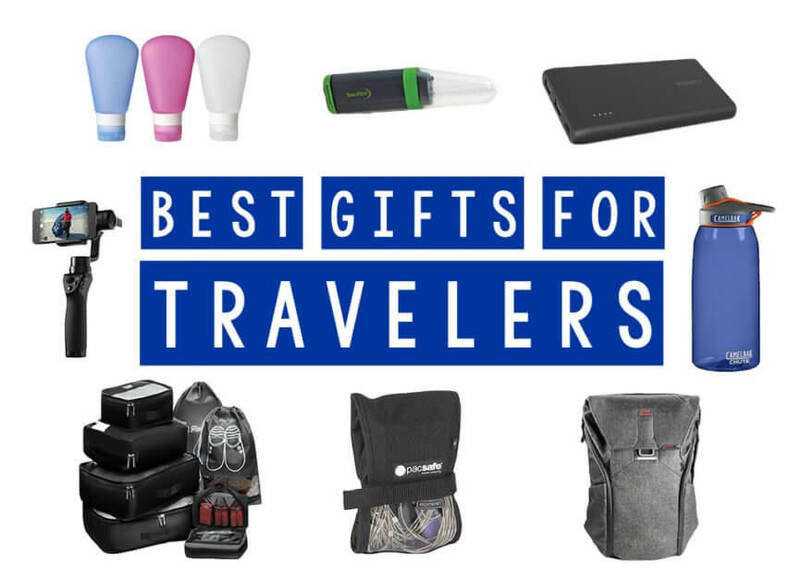 We’ve put together a guide of the best gifts for travelers that money can buy. We are full-time travelers and use each of these items or a version of these items on each of our trips. From luggage to electronics, we’ve got you covered. 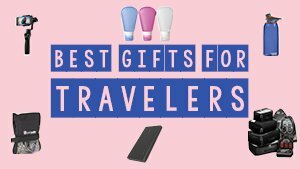 No matter what you’re budget is there is a gift on here for your lucky little traveler that they will love. Looking for a specific type of item? Jump to the part of the post with the table of contents. 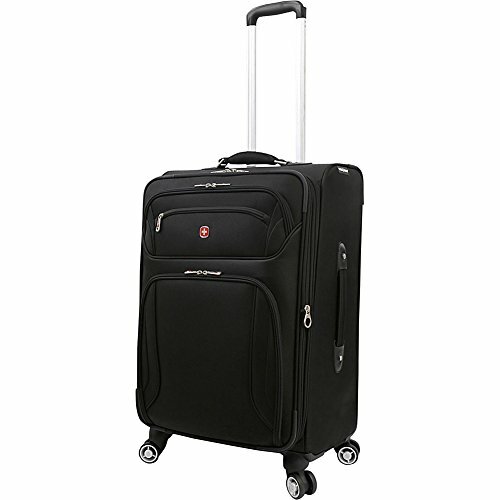 We are all about the carry on suitcase and this Wenger 24″ spinner suitcase is the perfect gift for travelers. Not only does this meet the requirements of almost every airlines carry on restriction the suitcase is easy to transport around with its spinner wheels. We love that we can also easily attach our camera backpack to the top of the suitcase and handle making it easy to transport with both of our carry ons together. We bought this bag this year and are in love. 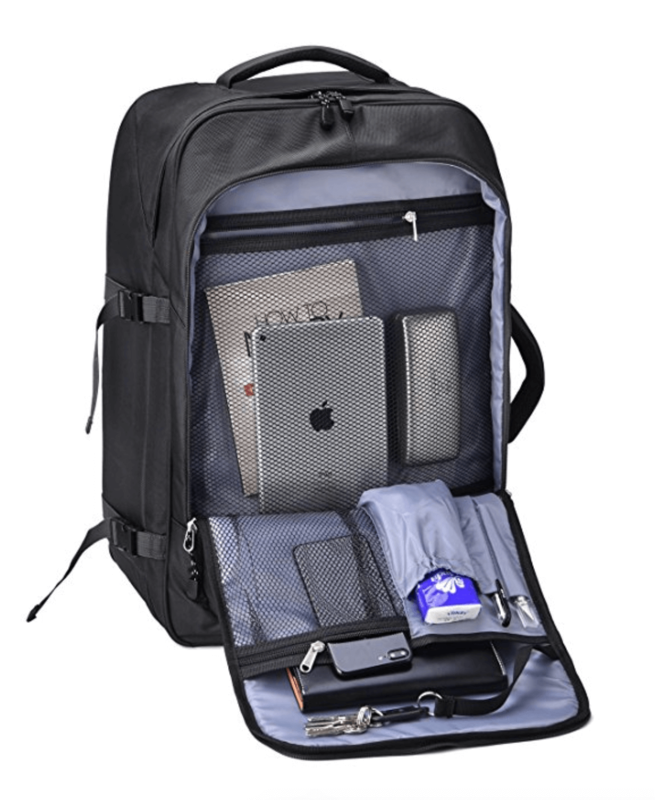 It also has a great expansion zipper and external pockets for documents and small objects. Attention photographers! This is the best gift for travelers if you need to carry camera gear. 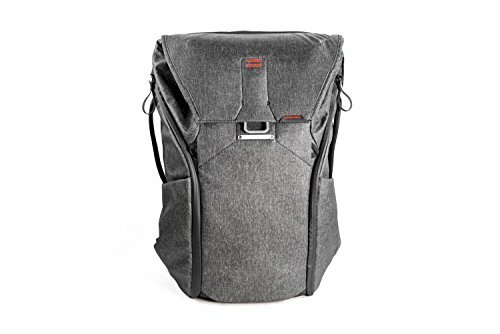 We’ve tried so many different camera backpacks and they either fall apart or are uncomfortable, some from really reputable brands too. We’ve had the Peak Design backpack for two years now and it is by far the best backpack we’ve ever owned for camera gear. Not only is it incredibly stylish but it is also extremely comfortable and waterproof if you end up getting caught in the rain like we always do. We absolutely swear by the 30L Peak Design bag and can’t imagine life without it. If you’re wanting to adopt the carry on only travel style this is the perfect bag to do it with and the perfect gift for travelers. With airlines sneaky charges and strict carry on restrictions you can ease your mind of worries with these travel backpacks, these big backpacks fit almost every single airlines carry on restriction sizes and boy can these bags hold a lot. We have three different sizes but swear by the 54L size to fit all your clothing, computer, and necessities when traveling. Better yet, you won’t break the bank with this purchase! See our entire review here plus a video of how much you can fit inside these backpacks!! Click here to buy this carry on backpack perfect for travelers. Another product we personally don’t leave home without and the perfect gift for travelers who love to stay organized and save space. It is shocking how much can actually fit into one of these cubes. We recommend rolling your clothing and packing neatly inside. 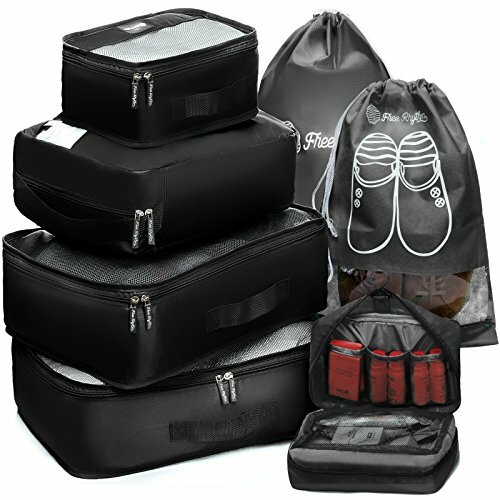 You will not only be incredibly organized but it will keep all your personal items compact! 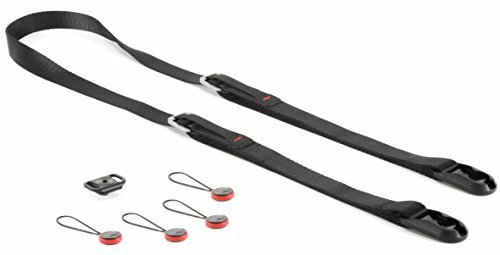 These are an absolute necessity if you are going to be traveling out of a backpack too. We’ve used this product since day 1 and stand behind it 100%. They say thieves are opportunistic and this makes stealing more time consuming and difficult and gives you extra piece of mind in any sketch situation, budget accommodation, or long bus/train rides. 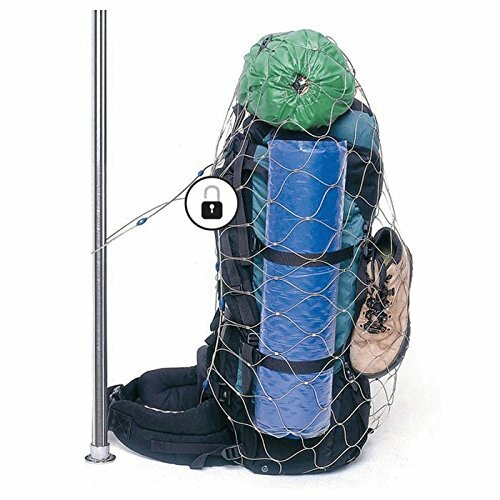 This exomesh net like cage easily folds up into it’s carrying case and has an adjustable fit around your bag. We are always traveling with thousands of dollars worth of camera gear, computers, and other electronics and it’s impossible to carry all of those things with us all the time. So when we leave to do some site seeing we pack up all of our valuables into our big backpack and securely fasten the Pacsafe Bag Protector cage around the bag and find something to lock it to. Oh, did we mention it comes with a great quality lock and key? This is the perfect gift for travelers because you can buy them in many different sizes and it really is easily portable. See our full review of the Pacsafe Bag Protector here. Space is a premium for any traveler whether you’re going on a weekend trip or a monthlong trip. Anything that can cut down on weight is huge. Megan switched to the newest MacBook Pro which looks as thin as the Macbook Air when it came out in 2017 and it’s not only lightning fast but incredibly light. This is definitely a premium gift for travelers, but one that is premium and worth every penny. This is another gadget and a perfect gift for travelers. 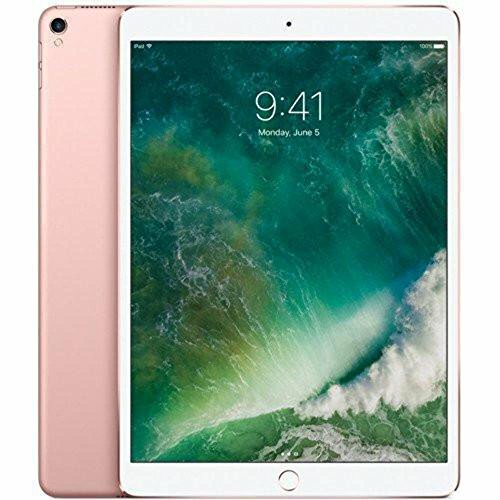 If you have minimal work to do you can easily get a blue tooth keyboard and use the iPad Pro like a computer. What we love the most about the iPad would be entertainment. Sometimes budget airlines, trains, or bus rides are long hauls without entertainment. We like to upload our favorite movies, books, or work while on the road. 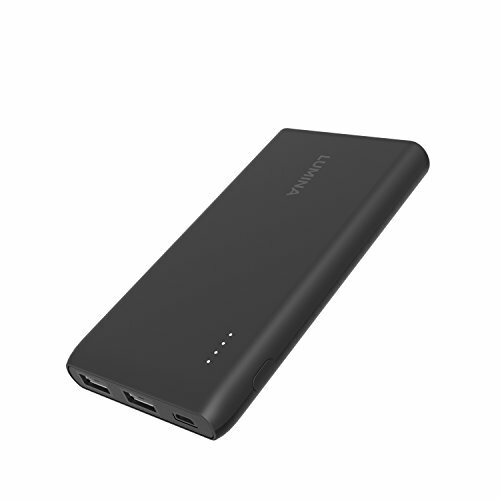 This takes battery power banks to a whole new level of awesome and is one of the best gifts for travelers we have seen. 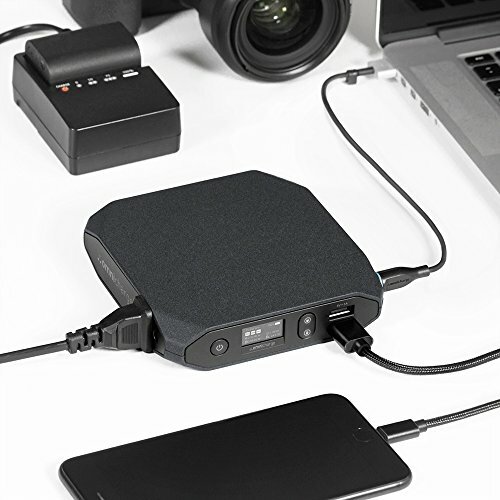 Not only can you this bad boy charge your phone, but it has the capability to charge your DSLR, laptop at lightning speed! It’s the first portable charger with an AC/DC outlet. The omni charger features one AC/DC power outlet along with 2 USB Fast-Charging ports that can charge pretty much any consumer electronic device. Don’t just take our word for it, the Omni Charger has rave reviews all across the web. If you’re not ready to commit to the Omni Charger we recommend getting a good, compact power bank with a USB charger. We each have one of these and they are a lifesaver. We get a few charges out of each power bank and charge everything that has a USB cable from our phone, iPad, to our GoPro. 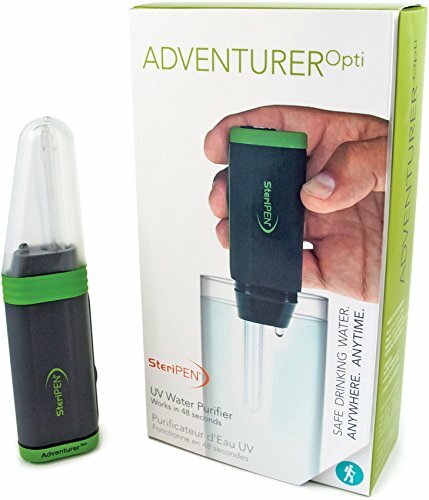 This is not only one of the best gifts for travelers but also anyone! What’s even better is that you can now get a great one like this for around $20. This is the best gift for travelers who has multiple Apple products or a Macbook. 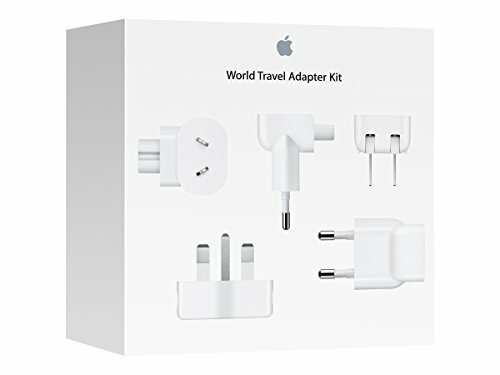 We each have a World Travel Adapter Kit from Apple with every single outlet you will come across while you travel. It’s nice that you can easily change the head of any of your outlets and not have to worry about frying your expensive and precious electronics. The adapters are small and easy to travel with. 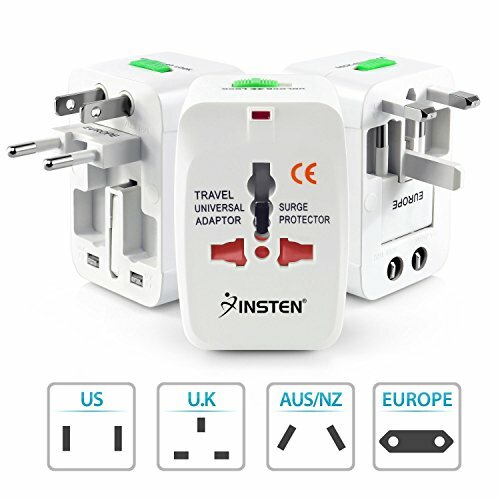 Quality universal adapters are one of the best gifts for travelers who are planning a trip overseas. There’s nothing worse than frying your electronics on a bad adapter. One feature we love about this specific adapter is that it also has two USB ports so you can charge up to three devices at once! Since making the switch from my Canon 60D to Sony, I have never looked back. 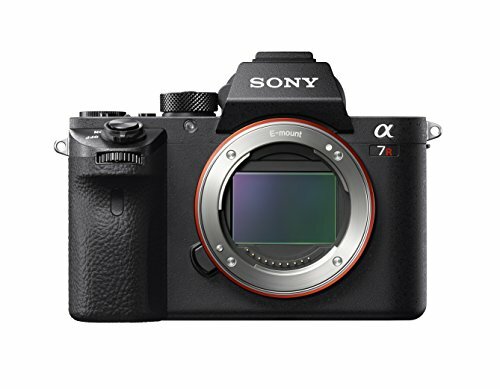 The features I love about the Sony A7RII from the compact size, focus peaking, and 4k video capabilities all of which are top of the line on this mirrorless camera. This is our workhorse camera for our timelapse, hyperlapse videos, photos and just about every thing we shoot. This is a premium gift for a travel photographer looking to get professional gear at an affordable price. Plus now that the Sony A7RIII is out, this camera just got a $700 discount and is still an amazing camera. Find out more about the best mirrorless cameras here. 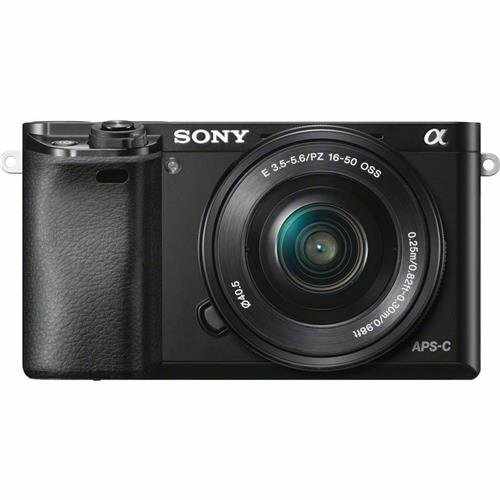 The Sony A6000 is great for the traveler who wants good quality without the hefty pricetag. This mirrorless camera is one of the highest recommended cameras, and while it isn’t a full-frame camera, it’s still exceptional at it’s price. Not only is the camera lightweight and compact and is the best camera you can buy for under $500. Some of the features include a compact kit lens, shoots well in low light. This is the perfect camera to buy for people just getting into photography or those looking to make the switch to Sony. 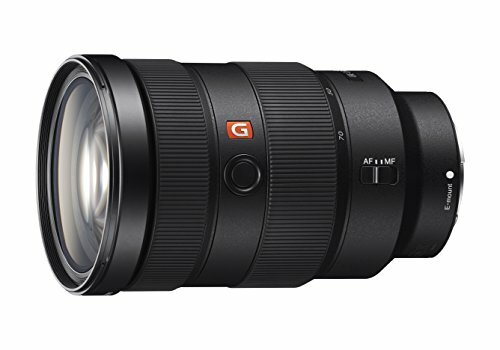 This is Sony’s Flagship lens. We use this lens as are all around lens for 90% of all of our work. It’s great because at 2.8 you get incredible depth of field which is great for portraits. 24 mm is plenty wide for landscape photography, and 70mm is wonderful for details and portraits. We don’t like carrying a lot of stuff on our backs. We’d rather have high-quality gear that has multiple uses. For us, this is a musthave lens! 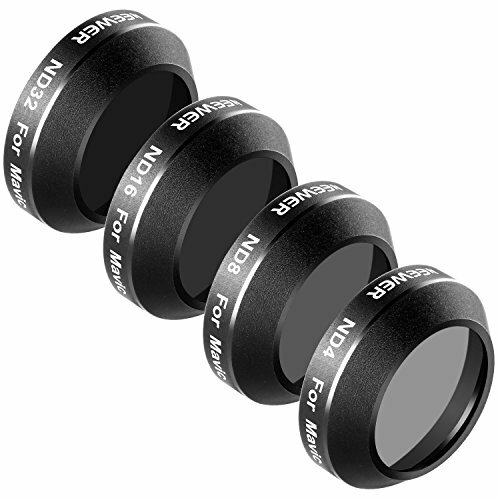 A high quality all around lens perfect for 95% of the shots we typically take. With care this lens can last 10 years, longer than the life of your camera. This is my favorite tripod for travel and one of the best gifts for travelers into photography money can buy. 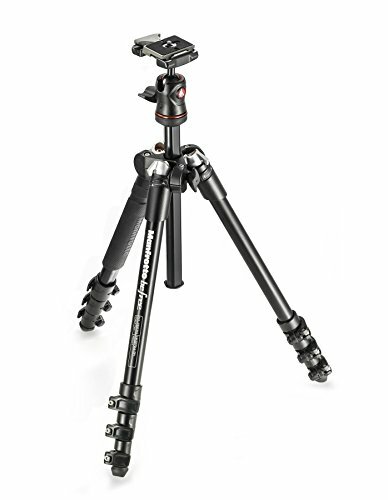 The Manfrotto be free tripod is lightweight, compact, and you know with Manfrotto’s name on it that it’s a product whose quality you can trust. Better yet, it fits in the side pouch of our Peak Design camera backpack mentioned earlier in this post. Want to share a new angle on your travel adventures? The best way to this is to invest in a drone. This is a perfect gift for travelers who love photography and want to take their craft to the sky. 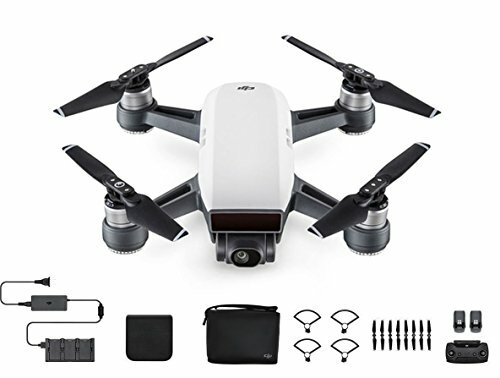 What’s amazing about the DJI Mavic is that it is super easy to travel with because it folds down and is compact fitting in pretty much any backpack or bag. The Mavic also shoots in 4k and doesn’t require you to use your phone to operate, this is huge plus for us since the Phantom 4 remote requires a smartphone or tablet to fly. The DJI Spark is a great beginner drone for people, children, adults, looking to get an entry level drone at an affordable price. It’s incredibly lightweight and compact making it perfect for travel. If you don’t need 4k capabilities than this is the drone for you. It’s so small and non-invasive you will love being able to take travel photos of your trips for years to come. Oh did we mention the size! This is one of the best gifts for travelers if they are into filmmaking and videography. 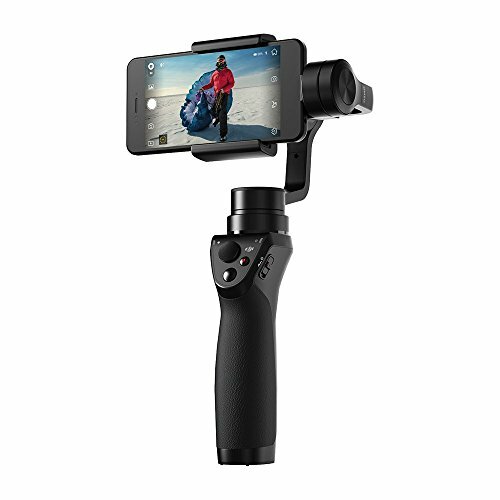 The DJI OSMO Mobile gives anyone the ability to be a pro filmmaker with seamless and smooth footage. 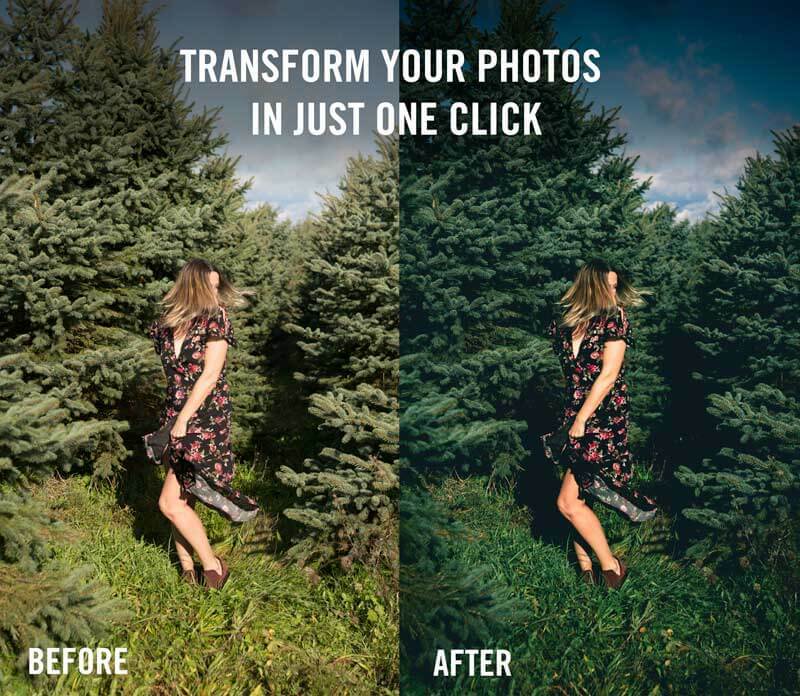 The best part would have to be that you do not have up update any lenses since this works with your smartphone. Smartphones are getting better and better every year with incredible cameras. Every time you get a new smartphone you essentially get a better filmmaking camera with this accessory that stabilizes all of your footage. This is one of the best investments for anyone who likes video. 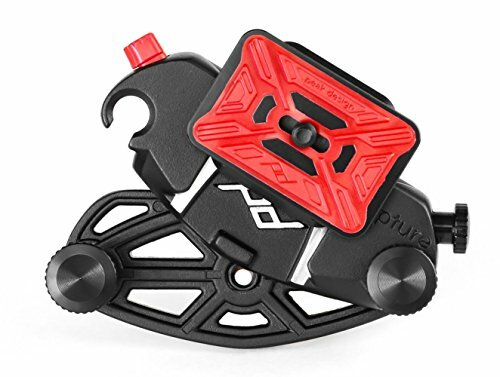 What I love about this is the ability to put this simple clip on any backpack and be able to carry my camera around hands-free. This bad boy is incredibly comfortable and compatible with any backpack. By far the best decision I have ever made was to get this. We’ve had ours for three years and absolutely love it. Since I have the clip above, I also really like Peak Design’s camera strap. I’ve had it for three years and I love it’s ingenious little clip system for the leash. What I love is the clever quick release so when I am shooting a time-lapse I can quickly remove the strap in under 1 second! I LOVE THAT. 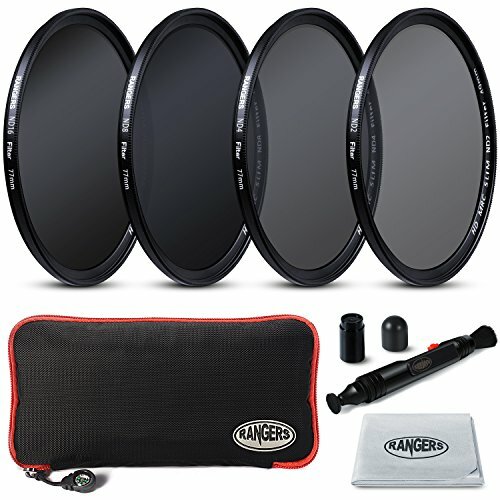 ND Filters are a must have for a photography and video enthusiasts. ND filters cut down on the amount of sun that is going into your camera and allow you to take a longer photo. You can use ND filters to achieve silky water, or remove people from images. The key thing to be aware of here is to make sure you buy ND filters that match your lenses width. My 24-70 is 77mm. Make sure to read your lens width when buying. ND Filters for drones are super important for the same reasons as above. Except perhaps even more with a drone because it always shoots at f 2.8. 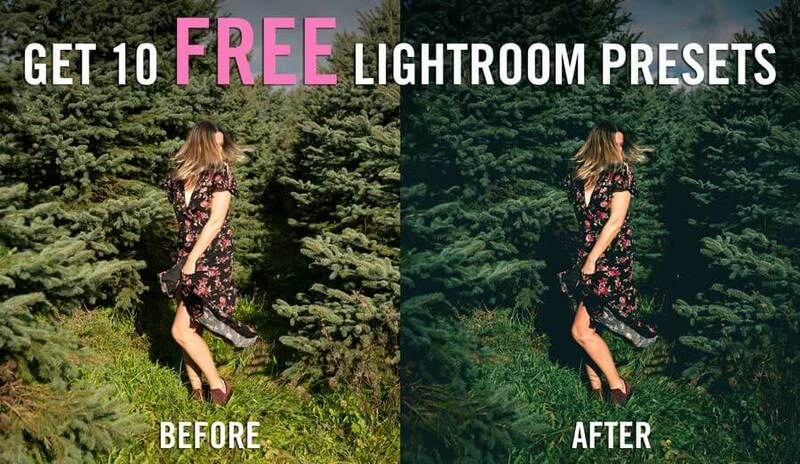 Meaning a ton of light gets in, which means your photos and videos won’t be able to achieve that natural motion blur you want. A pack of ND filters allows you better control of the look and feel of your photos/videos. When you’re taking tons of photos and shooting video on your travels you will want to make sure you have a quality and safe place to store all your data. Trust us, you want a quality hard drive to avoid losing all those memories with a shady hard drive or hard drive failure. It’s happened to us with Western Digital and Seaggate too many times. 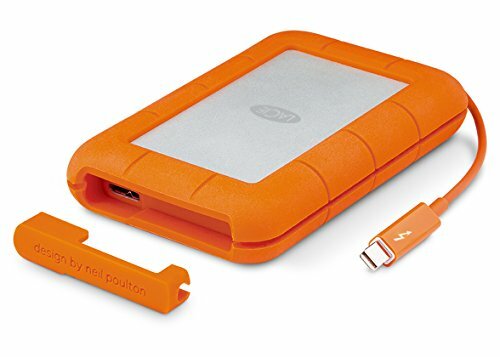 It’s never happened to us with a LaCie Rugged and that’s why we only use this now. 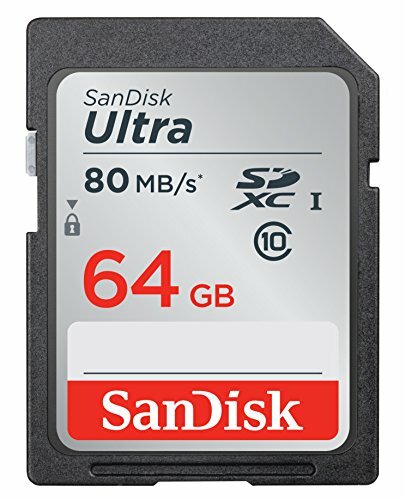 Every traveler needs SD cards and they are getting so inexpensive now adays. Gone are the days where you would just get an 8GB sd card and dump it all. Photos and videos take up more space than ever, 64GB is the smallest SD card we would buy because it’s still pretty good and can hold most of your media for a week long trip. We recommend SanDisk SD cards because they have never failed us and other companies like Pony have. Don’t buy cheap knock offs, get em cheap on Amazon. Always buy on Amazon, so much cheaper than in stores. Like mentioned above, everyone needs SD cards. 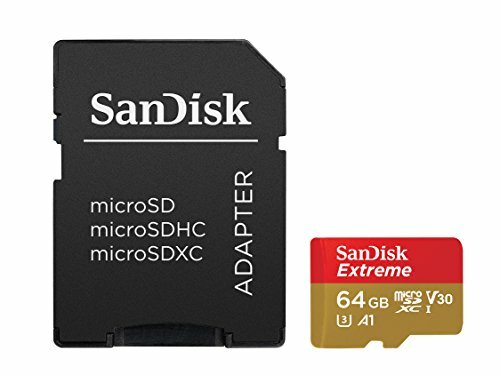 Micro SD cards are becoming more and more common in smaller form camera’s like the GoPro, Mavic, Spark, Osmo, etc… The best thing about buying one of these is it comes with an adapter that can convert this into a normal size SD card. So when in doubt, buy this SD Card. With Free Adapter, works in normal SD slots as well. 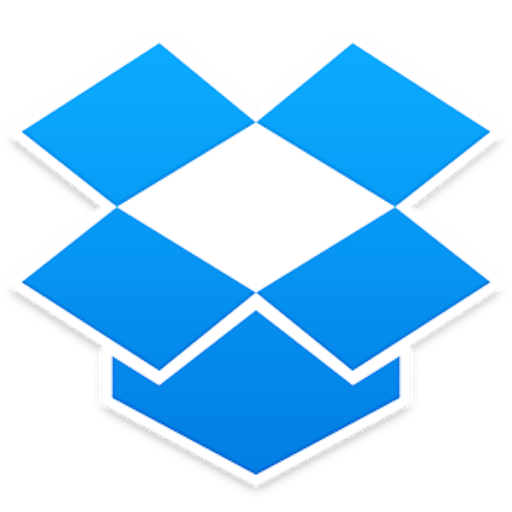 The only cloud storage we use is Dropbox. We have it on all of our devices so our photos and files are at our fingertips on our smartphones, computers, and tablets. It allows us to share and sync our photos/videos and work with eachother and access things no matter where we are. We constantly use the offline mode to show people our videos in remote destinations and at 99$ a year for 1TB of storage it’s just crazy not to do. Easy to use, setup and work. convenient cloud storage for travelers on the go. This is hands down one of the best gifts for travelers! Netflix is the gift that just keeps on giving. Have an endless amount of television shows and movies at your fingertips on any of your devices while you travel. Most places we visit have lightning fast internet perfect for streaming one of our favorite movies after a long day of sightseeing. Netflix is also a life saver for long layovers at airports! The best part? You get to use Netflix at home too. 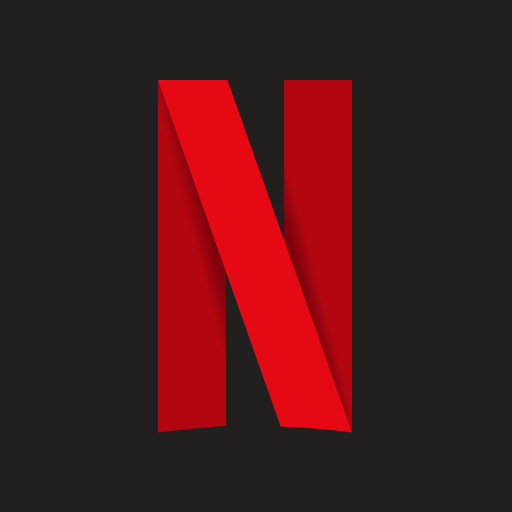 For a small monthly fee, you’d be considered crazy not subscribing to Netflix! Want to learn how to do anything? 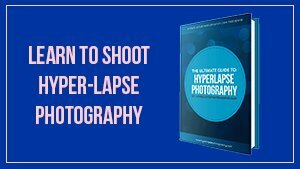 From how to use a DSLR, photography basics, how to edit photos, how to become a filmmaker, how to edit video, how to use just about any computer software, computer coding, graphic design, to marketing – Lynda.com has a course for it and you can start learning today. We buy a subscription every year and learn can thank Lynda for most of the skills we use to run Bobo & Chichi from photography to our website. The courses are great and you can find a course for about anything with video tutorials, homework, and working files to help you succeed at whatever it is you want to learn. You can even download any of the courses so you can access them when you’re offline. Turn that long plane ride into a lesson on anything you want to learn. This is hands down one of the best investments and gifts for travelers money can buy. 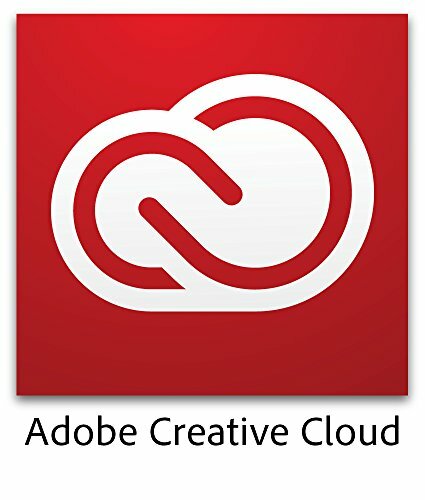 Adobe Creative Cloud is Adobe’s way of offering unlimited use of any of their programs for a year. For just 20$ a month you can use any of their products. Or if you pay for the year in advance save a huge discount. We use Premiere, Photoshop, Lightroom, and After-Effects to make this site and all the content on this site. It gives us both unlimited access to any program we want on two computers at time! Best of all, if I lose my computer, I can just login and download it on any computer anywhere in the world and keep working! 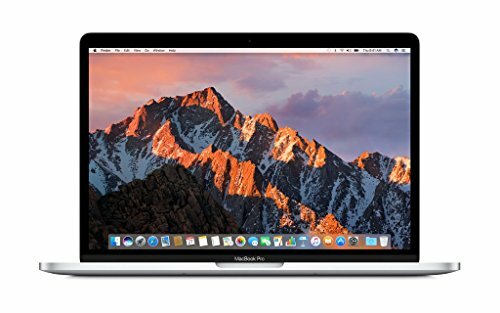 Can sync with any computer, anywhere in the world. Great if you lose, or get your computer stolen. This is one of our favorite gifts for travelers that money can buy and keeps on giving. 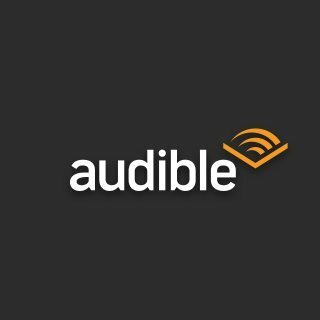 We LOVE our subscription to audible audiobooks for travel days. We are both logged into the same account and share the same library of audio books perfect for long travel days. Megan gets motion sickness really bad so this is the perfect way for her to spend long bus rides or commutes. Even when we aren’t traveling we will put our favorite audiobook on bluetooth and listen to it on our commute. 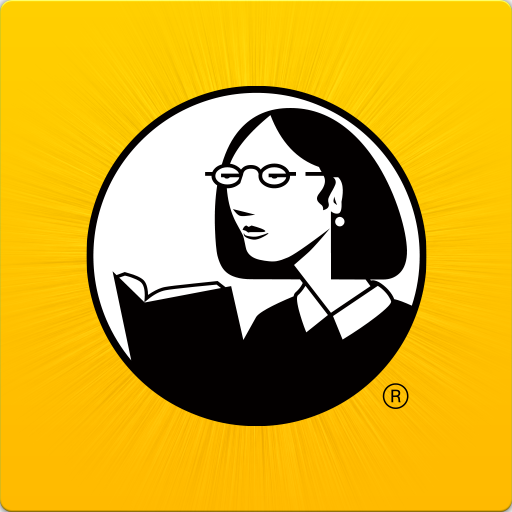 With your subscription, you get two books per month and access to just about any book that exists in the world! Feel free to message us on Facebook to get our favorite reads for the road! Reusable water bottles are the perfect gift for travelers. Think of all the money they will save not buying bottled water at the airport? Instead, they can take their empty bottle through security and fill up at a drinking fountain. Besides saving money you’ll also be cutting back on waste of plastic! We love our reusable water bottles and don’t go anywhere without it. So you have a reusable water bottle but what can you do if you show up to a country whose tap water isn’t safe to drink? This steri pen is a life saver, just put the pen in your water and after a few seconds your bottle of water has been sterilized and is safe to drink. These little bottles are super handy and one of the best gifts for travelers that doesn’t break the bank. 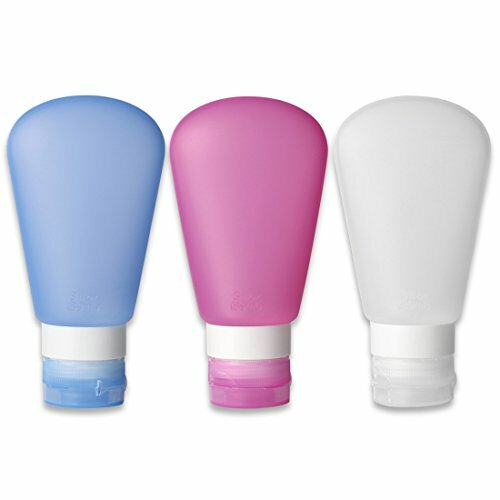 These reusable little bottles are perfect for carry on only travelers. Take your favorite toiletries with you and leave the full-size items at home. Never get off a plane again with swollen ankles! This is one of the most practical gifts for travelers money can buy and Megan actually received 3 pairs for Christmas last year and was so thankful. 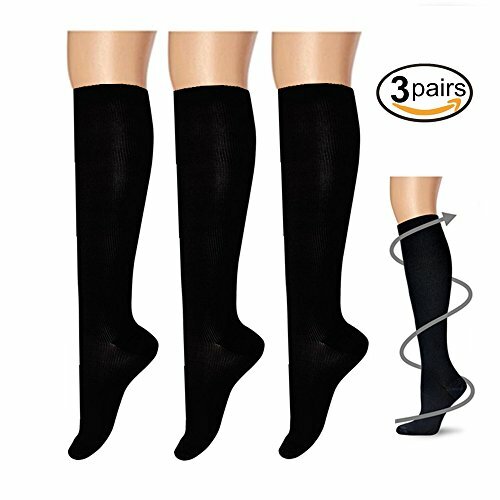 These socks help increase blood circulation and reduce the risk of swelling or even worse deep vein thrombosis and blood clotting on a long flight. Sounds scary, but it all can be prevented with a handy pair of these socks. Tons of fun and basic options! Never worry again about ruining your valuables on a boat or doing water activities. 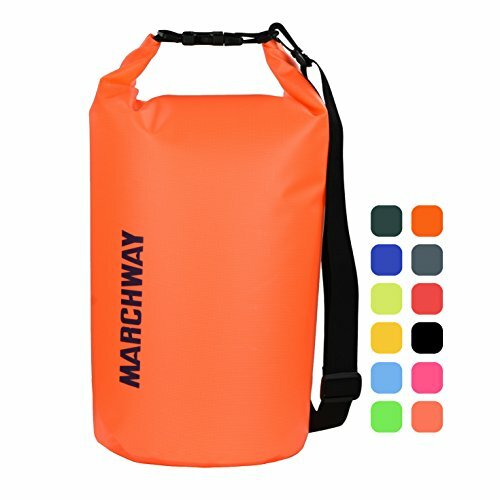 A dry bag is great to keep your electronics or camera gear when island hopping, kayaking, or even on a cruise. We have used ours when we are taking a small boat to an island with our electronics, taking day trips on a boat where we want our camera, or with our phones while we do day kayaking or canoe adventures! They are also great for throwing your clothes in when you want to take a swim. 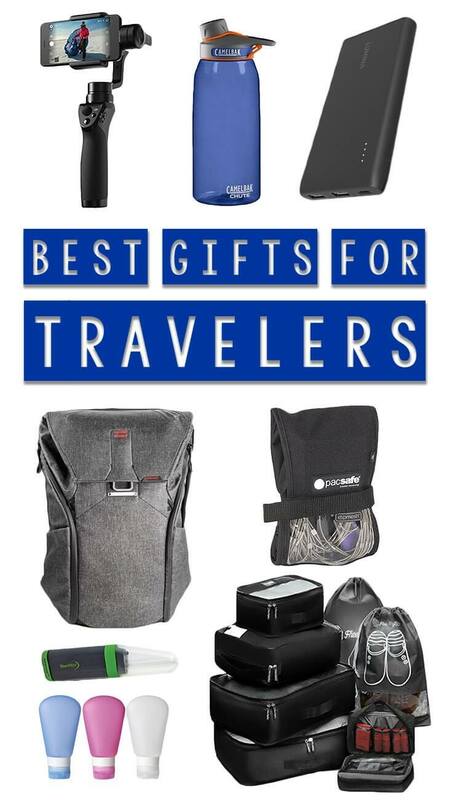 Liked this gift guide for travelers? Have a sports fan? Check out this guide for sports gifts.